The rise in the popularity of e-book readers has highlighted a new phenomenon – e-book piracy. It’s no different from the piracy of music, movies or software, since it’s a violation of intellectual property rights. It’s a new battle to be fought by the publishers and retailers, although they might have learned from the experience in the pirating of other entertainment media. How big e-book piracy becomes will depend largely on how big a segment of the market e-books take. As of early 2011 that slice of the market has grown considerably and look set to move ahead an in a few years at least have an equal, if not majority, share of the book market. In all likelihood the incidence of e-book piracy will increase dramatically. Many books are in the Public Domain and so they’re available to download free of charge from a number of different sources. These are not pirated; it’s simply that there’s no longer any copyright on them. There are essentially two ways to pirate an e-book that’s in copyright. The first is very tedious – taking a physical copy of the book, scanning it and converting it into a usable file, which might be a .pdf file or the universal standard, an .epub file. This is obviously a lengthy process, especially as if offers no financial rewards. That said, people still do it. The other way is to hack the codes that retailers use for digital rights management. For those who know what they’re doing, this is a much faster process than scanning, and once the code has been cracked it offers access to thousands of books that can be pirated. E-Books are passed around in much the same way as other pirated forms – online. They circulate on various Usenet and Torrent sites, where they can be freely downloaded. Often, the first that writers know about their books being pirated is when people inform them. Many are unaware that e-books can be pirated, let alone that people would want to. But there’s a constant battle between the pirates and the retailers for supremacy. At the moment, at least, the retailers are winning. More are more devices that are able to read e-books are coming on the market, such as tablets, PCs and pads. This increase indicates that e-books are going to become far more prevalent in just a short time, much as MP3s suddenly became the main way to consume music. The pirates feel that e-books are overpriced, which is the reason they use as their justification for the piracy. Publishers and retailers can be at odds on pricing, too. The retailers would like to offer low prices to drive trade, while the publishers want to make a reasonable profit. The authors, meanwhile, want to see royalties on the copies sold. The result is that piracy will continue. Some retailers are attempting to find solutions. 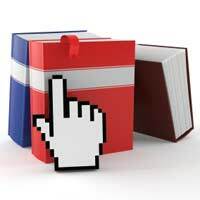 One has been experimenting with an idea that will allow someone who’s bought an e-book to loan it for a set period to another user of the same device, much like a library or lending a book to a friend. This is a good step in the right direction. There is a need to establish universal digital rights management, so that e-books published from one retailer will work on other devices. There is a standard for the digital books files, the .epub format that works on all platforms. By learning from the mistakes made in the music business when it went digital, publishers and retailers have the chance to contain the piracy. If they choose to ignore history, then the ending could be quite different.